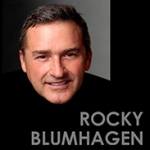 Rocky Blumhagen is available for show development as well as bookings in US and abroad. Please be in touch! You are welcome to email Rocky here.